Japan has a new tech sport where they race robot mice. Watch their super fast maze solving robots in action. These robots could solve a maze faster than any mouse, or human ever could. Perfect racing conditions in the cave of Salina Turda!Raceday one: Winner Banni UK (TBS X-Blades), 2nd Gary Kent (TBS X-Blades), 3rd Dino Joghi (Gemfan)Raceday two: Winner Mac Poshwald (TBS X-Blades), 2nd Jan Mittner (Wildcard), 3rd Martjin de Kemp (Wildcard)Gratulations!! Laurens Vanthoor (Audi R8 LMS) with a big crash during the Macau Grand Prix this weekend. World Organization of Racing Drones is the authority created to bring together the communities of drone racers, fans and manufacturers to create a sport unlike any other. Guided by five main pillars, W.O.R.D. will govern the WDP and related drone races, set rules and regulations for the industry and worldwide events, award host cities, accredit and attest pilots and organizations and last, but not least, spread awareness on the the positive commercial drone use. The World Drone Prix in Dubai was the first million dollar drone race, with the winning team taking home a cool $250,000. We meet the tech-loving thrill-seekers behind the sport who want to turn it into the next big thing. This is footage of a horrific crash that took place on the last lap of the Formula E ‘inaugural championship race’ in Beijing on saturday. 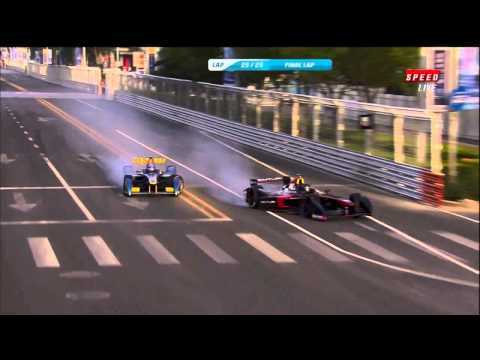 In this video clip, Nick Heidfeld tries to pass Nicolas Prost to win the race on the last lap. According to Nicolas Prost, he didn’t see Heidfeld when he swerved left sideswiping him, tearing his wheel off, and sending Heidfeld’s car airbourne. For those that don’t know, Formula E cars are one seated, electric powered race cars designed by France based Spark Racing Technology. Formula E is being bank rolled by Boston Celtics CEO Wyc Grousbeck & and some other investors. This footage was uploaded to Youtube on September 13, 2014. 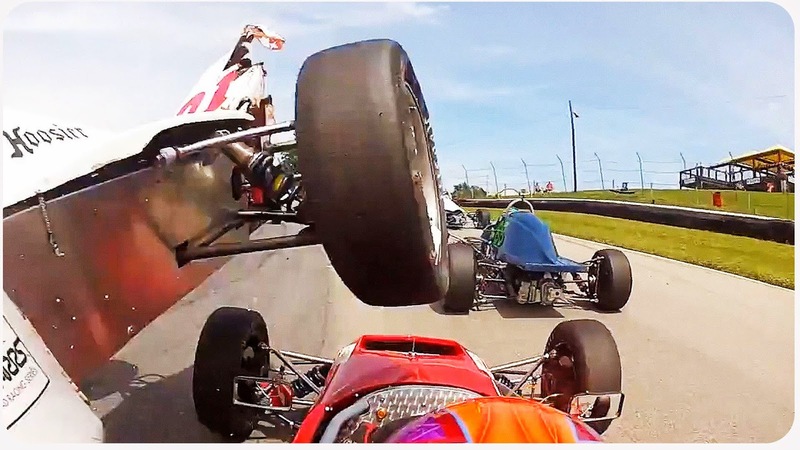 A formula car driver was almost beheaded during the Mid-Ohio race at Duffus on the fourth of July 2014. Watch as the race car launches over him, missing his head by only inches. The driver has balls of steel showing no reaction, except adjusting his mirror. 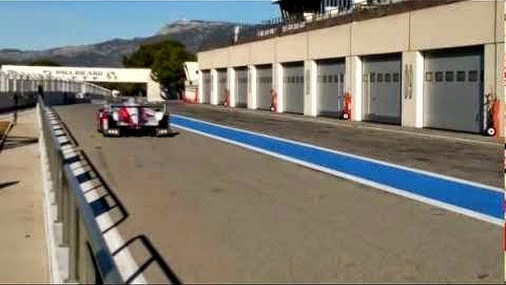 Listen to what in sounds like when Toyota’s awesome new TS030 exits the pit, changing from an Electric EV engine to a gas V-8. This car is total badass. Twenty-one-year-old Alex Kelsey is about to become the talk of world motorsport after building his own rally car in his family’s Coromandel barn. Kelsey’s rally car can go from zero to 200km/h in seven seconds – faster than any supercar on earth. In case you missed the Kentucky Derby, here is race 140 “The Race.” I’m not going to give away the winner’s if you don’t know yet, enjoy. A sound comparison between 2013 and 2014 F1 cars on the pit straight at Albert Park as they complete the first lap. The 2013 engine was a 2.4L V-8. The 2-014 engine is a 1.6 L V6 Turbo.